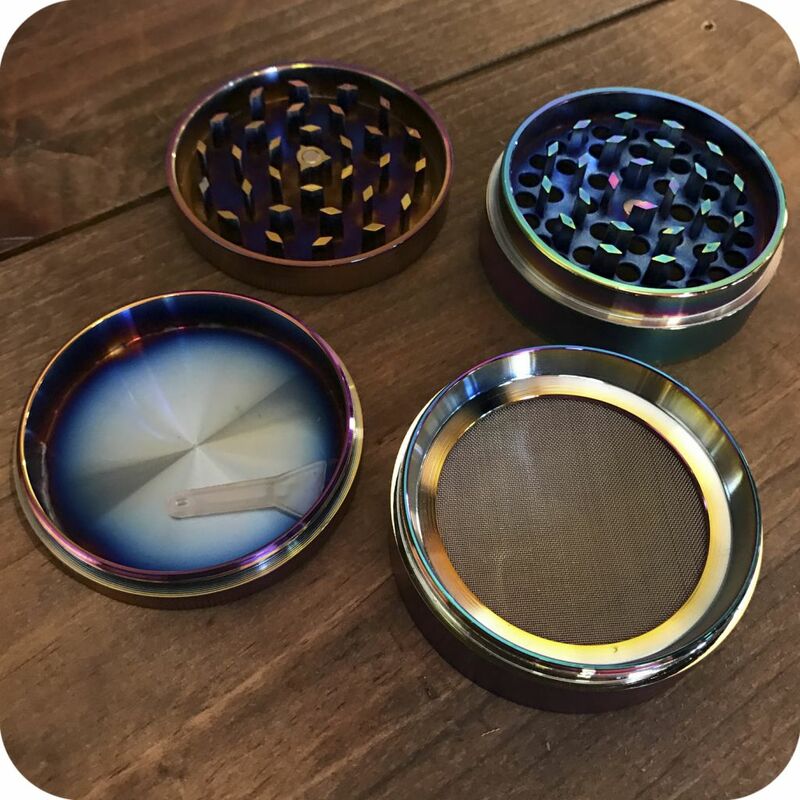 This radiant 4-piece large Rainbow Zinc grinder is as captivating as it is functional. 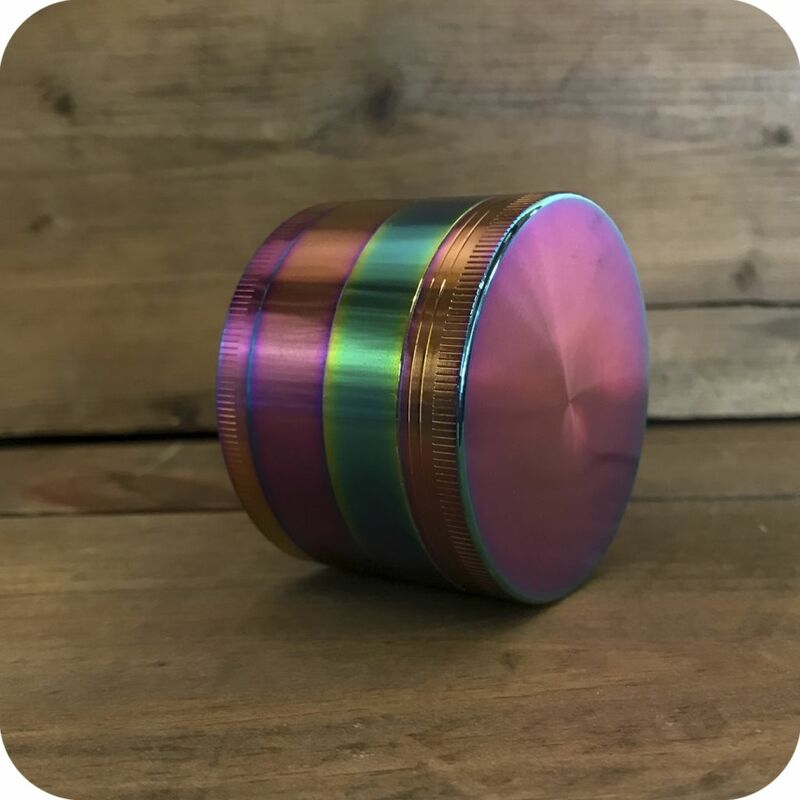 You’re surely going to be mesmerized by its ever-changing colors but also impressed with its high-performance in the grinding category. This charming piece will leave you wondering when grinding legal herb became so aesthetically pleasing. This beauties sharp teeth will grind your legal herb to a perfect finish. The sharper the teeth, the better ground the material. You’ll find that more finely ground herb means longer and more enjoyable smoke sessions. The grinder itself is made out of Zinc which is known as a better and safer alternative material in comparison to aluminum. With three-chamber grinders comes great opportunity. The fine mesh layer found in the second chamber sifts out the smallest particles of your material. These particles are called pollen. Pollen is a precious commodity to the conscious smoker. 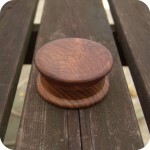 It makes for a great bowl topper as well as a little something to sprinkle into a hand-rolled cigarette. Don’t miss out on collecting pollen! 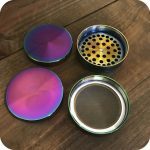 When your legal herb has been ground, make sure to give this grinder a good tap. This allows the pollen to fall through the mesh into the third chamber. Additionally, our Rainbow Zinc Grinders change colors depending on the angle at which you look at them. Be prepared for some seriously dazzling grinding, but don’t be fooled. 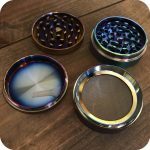 This grinder isn’t just something pretty to look at. It can also be utilized as a storage space for travel purposes or if you just want to save some material for later. 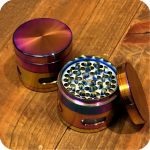 This precious grinder is measured at 2.5″ diameter and 1.95″ height. This is a perfect gift to people you love or for yourself ! 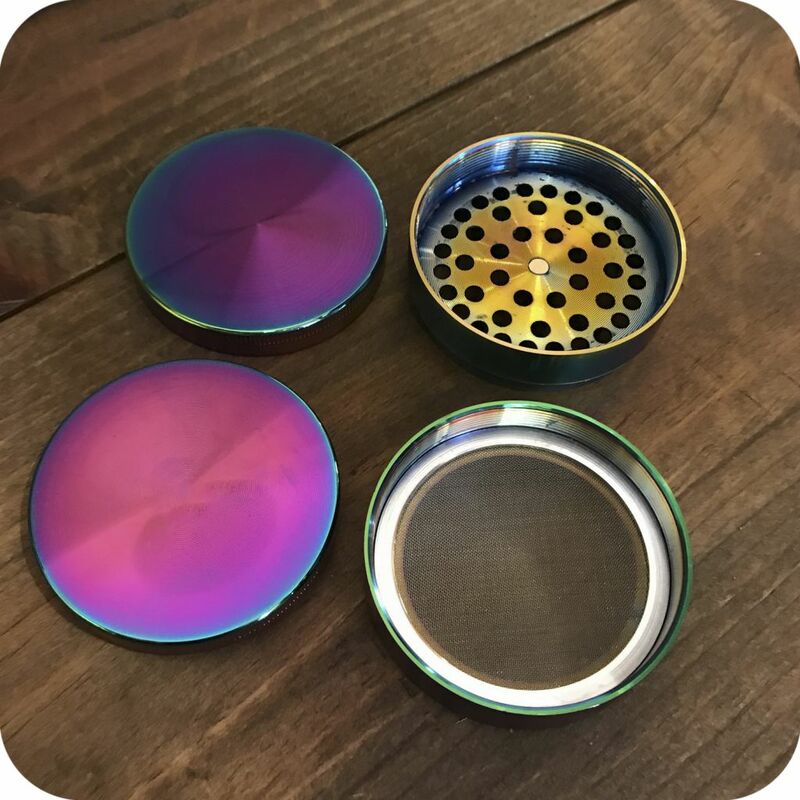 Advance your smoking ritual with this large Rainbow Zinc grinder today. Tags: Brooklyn, brooklyn glass, brooklyn smoke shop, bushwick, bushwick head shop, bushwick smoke shop, glass, glass pipe, glass shop, heady glass, Metal Grinder, new york, new york city, new york city headshop, new york city smoke shop, pipe, pipes, Pollinator, rainbow zinc, sunflower, Sunflower Glass Co, Sunflower Glass Company, sunflower pipes, williamsburg, williamsburg head shop, williamsburg smoke shop, zinc, zinc grinder.